Learning Style and Reading: Is There a Relationship? What is the first thing you should do when preparing to teach your child to read? 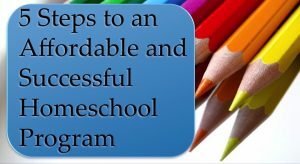 Most people would say find lots of age appropriate books to read, work on letters, sounds, and basic 3 and 4 letter words, incorporate sight words and structure simple sentences, and possibly find a comprehensive reading program. While there is nothing wrong with these suggestions, there IS a lack of consideration for a significant factor in the process – your child’s learning style. One’s learning style has a tremendous impact on learning in general and specifically in relation to understanding and retaining reading concepts. Learning style and reading have a strong relationship that parents shouldn’t ignore, in order to help their child become a confident and successful reader. Aural (auditory-musical): You prefer using sound, and music. Verbal (linguistic): You prefer using words, both in speech, and writing. When dealing with small children, the easiest way to identify your child’s learning style is through observation. Take note of the way they respond to different methods in their learning environment. Is she drawn to music and rhythm? Does he prefer to work on their own? Does she prefer hands on activities? Take note of these factors, as this will help you identify the primary ways your child prefers to learn. You may also opt to find a learning style test (a simple google search will supply several options). If you are teaching a child who is old enough to take the test, you can guide them through the questions and then review the results. If you’re teaching a smaller child, you can just use the test as a guide for your observation. 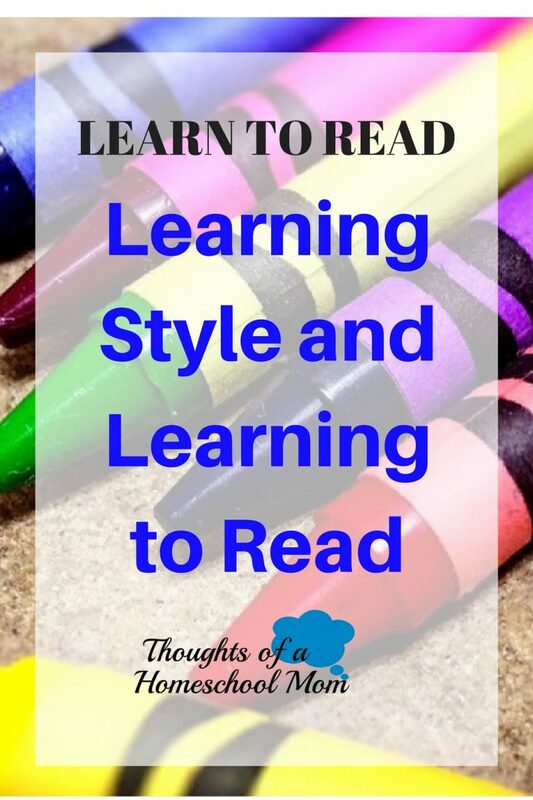 Okay, so now that you know what learning style is and how to identify it for your child, what does this concept have to do with reading? Research indicates that learning style greatly impacts reading proficiency due to increased comprehension and retention of reading concepts. A study conducted by Holt and O’Tuel (1990), on 847 4th and 5th graders, found that students presented with reading instruction that matched their preferred learning style exhibited higher instances of comprehension. Likewise, after implementing learning style based reading instruction, an elementary school in San Antonio, TX reported going from a low to high ranking school within three years of implementation. My daughter began to show specific interest in reading at the age of 4. She would constantly ask me “what those letters spelled” on signs, buildings, television, cereal boxes, etc. I had already been working with her on letter sounds and some basic phonics, but we hadn’t ventured into many words except cat, dog, happy, and apple. When she showed interest in progressing, I immediately looked for resources, began to tackle the reading process, and quickly became frustrated. I couldn’t understand why she wasn’t retaining the information. I was having her recite sounds and words, and write them down on manuscript paper. I was following the curriculum exactly! What I’d neglected to realize was the way I was attempting to teach her to read was a direct departure from the way I taught her everything else. 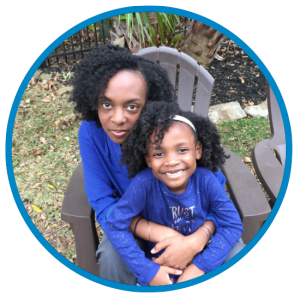 When I really stopped to review how she preferred to learn and the methods I used for other subject areas, I realized my daughter was a visual, physical, aural learner. In other words, she needed to see, touch, and sing/say (with music or a beat) learning concepts. With this understanding I completely revamped my approach to teaching her to read, and I watched her blossom. She retained the reading principles and her comprehension greatly increased. As a result, she has continued to evolve into a confident reader and speller. It is understandable, then, that reading concepts should be viewed in the same manner as other academic topics. Learning style should be considered a matter of course in order to create a consistent and empowering learning environment for your child. Take the opportunity to identify your child’s learning style and incorporate appropriate methods in your reading instruction to help your child learn to read in a happy, focused, and effective environment. What kind of learner is your child? Comment below! I totally agree with you Tiffany. My youngest had a difficult time learning to read, and looking back it was a combination of her not being ready and me using the wrong approach to teaching her. Once I discovered the approach that I needed to use, she caught on pretty quickly. I will say that she has never wanted to read for enjoyment like my oldest daughter, but she is a very competent reader. Sally, I’m so glad you were able to discover the right approach to teaching your daughter to read. Using the proper approach can make all the difference. Thank you for commenting and sharing your experience!